Manipur University: A Den of Insurgents or A Den of Innovative and Reconciliatory Ideas? 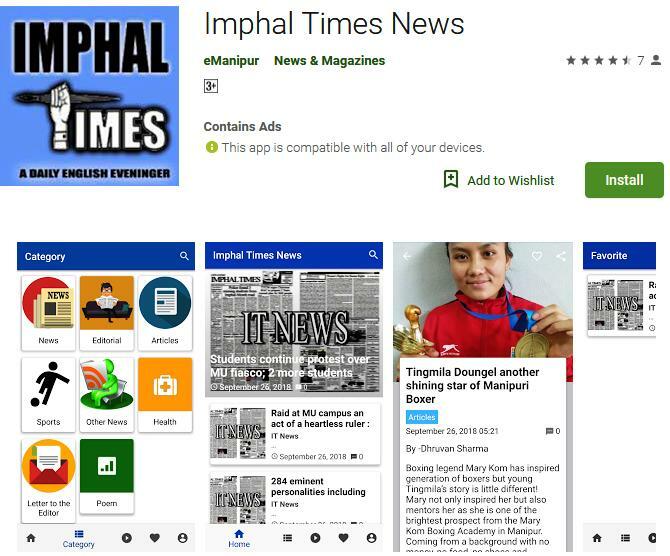 Manipur University (MU) had continuously hogged the headlines of all the print and electronic media across the state for nearly three months without a break consequent upon the agitation for the ouster of the present (?) Vice Chancellor, Prof AP Pandey, which the University community believed is detrimental to preserving the sacrosanctity of the Manipur University and also to safeguard the future academic health of the state. The demand for the removal of Prof Pandey, who allegedly had since been cast, satirically though, as the modern ‘Shantidas Gossain’ of Manipur University (as reported in the media), has by and large been endorsed by the majority of the general public of Manipur by way of showing their solidarity with the striking community of the University but with a note of concern to be circumspect about the fate of the sixth semester students who are anxiously awaiting their results. On the other hand, through this protracted agitation for the removal of Prof Pandey, Manipur University had successfully awakened the entire populace of the state to the wind of change that is sweeping the entire country including Manipur perhaps with a determination to slowly hasten the process of letting the innocent public succumb to the changes so designed. While some would easily submit themselves willingly or otherwise to the sugar coated high voltage temptation only to become a prisoner of their own eventually, there are others who prefer to hold onto their own grounds at any cost giving a damn to such seductive allurements. The MU community in a rare show of unanimity had chosen to protect the sanctity of the University from such sporadic whirlwinds of redefining course. The solid rock like solidarity the University community had displayed for such a long period of time, perhaps, had taken the powers that be at the state as well as the centre by complete surprise baffling them at the same time as implied by the much procrastinated responses that came in equal number of instalments! Though one can argue that the centre under immense pressure from the state government compelled by the unrelenting attitude of the striking community had willy-nilly conceded, more or less, the main demand of the University community, the good will or intent of the centre, if any, had unfortunately been lost in the midst of its foot-dragging piece meal approach to the whole issue widening further the so called ‘trust deficit’ between the parties involved. Otherwise, a mutually acceptable mechanism for hammering out a workable temporally solution (at least) would have emerged sooner rather than later. Now that the hard negotiated Memorandum of Agreement (MoA) has been arrived at and mutually signed, keeping in view the public concern for the academic career of the sixth semester students, it has already paved the way for a tactical ‘temporary truce’. Though the temporary solution leaves the University community much to be desired, the fact that the process of normalization has been initiated at the earliest opportunity in the larger interest of the students’ community has clearly shown that the MU community is not insensitive to the public appeal. The most unique feature of the agitation had been its complete adherence to the democratic forms of protest all through without a single incident of violence whatsoever, setting yet another example by the University community to the public at large that one does not have to be violent to be heard but should have enough patience! As the saying goes, incessant rains pop out the old potty, all sorts of allegations and accusations had been levelled against the striking students to somehow stymie the peaceful agitation. The first one being that the students started the agitation when VC Pandey had refused to heed to their demand for increased money for publication of the University magazine. If it was so, he could have thwarted their move right at the initial stages by ensuring transparency and accountability for the extra amount claimed. The second accusation was that the students were instigated by some proscribed organizations when their demand for a huge sum of money was turned down by Prof Pandey – yes, he had scooped down even to that level. Under normal circumstances, as and when one receives such a ‘demand letter’, one immediately notifies the nearest police station, which Prof Pandey did not. Instead, he had allegedly chosen to apprise of the matter to the centre. Actually, no one took him seriously on that count, too. But the nastiest one of all was the failed attempt to let the Dr Kamal Indoor Stadium burn down with mala fide intention of maligning the whole movement as the handiwork of some antisocial elements! This would have given the justification needed for deployment of security forces inside the campus to break open the locked offices of the University administration. In hindsight, if the striking students had any evil intent of resorting to violent activities, many such incidents would have followed the failed attempt. But that just did not happen. On the contrary, the students became more vigilant especially in the night after that unfortunate incident which put a complete full stop to such nefarious activities. Yet, every dirty trick in the book was used to brand the entire MU community as antisocial just because they happened to be in a ‘conflict zone’ with AFSPA unfortunately hanging like the sword of Damocles. Any form of protest or demand by the people especially in the north eastern region or Jammu & Kashmir, which is not to the liking of the powers that be, is painted, more often than not, as antisocial or antinational like ‘Blame it on Rio’ syndrome. On the contrary, a follow up of the trails aftermath the attempted ‘arson’ led to flushing out of a large number of unauthorized guests (obviously from outside the state) in the University guest house. The whole episode in the end turned out to be the classic example of ‘Man proposes and God disposes’ and ‘God’s will cannot but be undone’. What an astonishing coincidence! Then came like the ‘little boy’ of Hiroshima when an honourable member of the parliament during the course of a debate on the issue of the then impasse in Manipur University reportedly stated that Manipur University, inter alia, is a den of insurgents! Not a single member of parliament including those who represent Manipur put up any objection to that very statement which may be interpreted as their tacit approval of the statement! It was notwithstanding the fact that the honourable Prime Minister, Narendra Modi, had inaugurated the 105th Indian Science Congress on Mar 16, 2018 in the ambience of Manipur University which has now been proclaimed as den of insurgents. If Manipur University is, indeed, a den of insurgents, why was the science congress re-scheduled here in the Manipur University which had to be inaugurated by the Prime Minister of India unless it became den of insurgents within this short time interval? Won’t it signify serious lapses in the intelligence and the security of the country? All the delegates of the science congress during the five days of the congress (Mar 16-20, 2018) developed good friendship with the MU community especially the student volunteers in this den of insurgents. Prior to the Science Congress, a joint conference of the Vice Chancellors of all the Universities in the north eastern region was also held in this very den of insurgents. A large number of subject experts including examiners keep visiting the den of insurgents in connection with different activities from time to time. Till now there has never been a case where the visiting delegates, experts, guests or invitees expressed any concern for their safety or threat to their life during their stay in Manipur University except expressing their willingness to come back for another assignment. All these facts only establish that either the statement, ‘Manipur University is den of insurgents’ is totally motivated and bereft of any logic or the students and the teachers in this very den of insurgents are very friendly people who have, indeed, become good friends with their counterparts from all over the country. In spite of all these, Manipur University has been dubbed as den of insurgents, that too, in the parliament of the country! What can be more unfortunate than this? A University is not just an assembly line for production of graduates, post graduates and PhDs but a place where education at higher level is provided imparting the much needed component of human development for critical thinking and analytical skills. University is also a place where every possible permutation and combination of ideas, however crazy they may be, are allowed to be experimented with, and where hundreds and hundreds of diverse opinions are allowed to be freely debated and discussed, and where tolerance is the key word to every dissenting views. Most importantly, in the words of John Henry Newman, it is the ideal place where inquiry is pushed forward, discoveries verified and perfected, error exposed by the collision of mind with mind, and knowledge with knowledge, and if I may add, not by pitting muscles against muscles, might against might, and arms against arms. It is precisely in this context that the Manipur University community has risen up to once again reaffirm that a University will not tolerate any act of autocracy, hegemony, omission and commission, abuse of power while in office, etc. aimed at tarnishing the unimpeachable image of the University. When teachers who are a necessary component of social changes are recycled as instruments of syllabus change or systemic change of the character of the institutes of higher learning, what would come out of such institutes? Just because the MU community has stood up for the sanctity of the University against such designs as it has always risen, will you call it a den of insurgents or an oasis providing hope for the subjugated people or den of innovative and reconciliatory ideas? As Bob Dylan would have enlightened us all, ‘Yes, how many times must a man look up, before he can see the sky? Yes, how many ears must one man have, before he can hear people cry? Yes, how many deaths will it take till he knows that too many people have died? The answer, my friend, is blowing in the wind. The answer is blowing in the wind!’ Amen. Forest Department today organised a mass tree plantation program at the surroundings of the Kaina temple at Poiroukhongjin Yairipok, Andro Assembly Constituency, Imphal East. Addressing the media persons, Forest and Environment Minister Shri Thounaojam Shyamkumar said the Thoubal Forest Division has organised the mass tree plantation program ahead of the Krishna Janmashtami tomorrow at the hillocks near the surroundings of the Kaina temple at Poiroukhongjin Yairipok. He maintained that the tree plantation program will help in maintaining the greenery thus adding to the scenic beauty of the religious and historical place. He said 1,600 people of the locality participated for the tree plantation drive. Two persons each from a family of the 800 households in the area, including women, youths and club members took part in the program, he added. The Thoubal Forest Division officials led by Divisional Forest Officer Shri N. Ganesh organised the tree plantation drive with an objective to boost the number of tourists, maintain scenic beauty and conserve the environment at the religious and historical site of the Kaina.